What Is Afternoon Tea At The Ritz like? 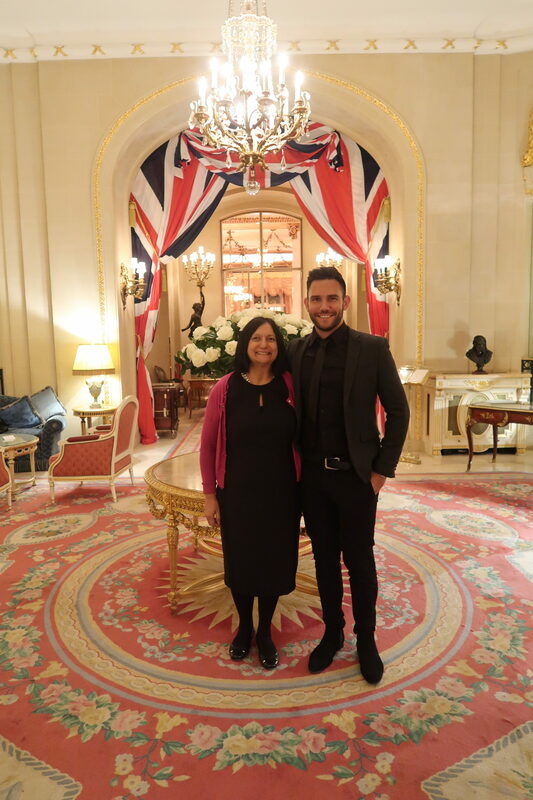 I recently went for Afternoon Tea at The Ritz, London as a birthday treat with my mum – and boy was it a treat. You definitely have to go not worrying about the calories you consume because you eat and eat until you are stuffed. Here is my complete guide? What is the dress code for Afternoon Tea at The Ritz? Reflecting the elegant nature of the hotel’s architecture The Ritz London has a dress code in different areas of the hotel as follows: Gentlemen are required to wear a jacket and tie (jeans and sportswear are not permitted for either ladies or gentlemen) for afternoon tea in The Palm Court and for lunch and dinner in The Ritz Restaurant and Terrace. In all other areas of the hotel (The Ritz Restaurant breakfast service, The Rivoli Bar, The Long Gallery) and The Ritz Club, smart casual attire is suitable. Please note that trainers and sportswear are not permitted in any of the hotel or Club’s restaurants or bars. What is The Ritz like? The setting is stunning, the hotel itself is described as “The Ultimate 5* Experience” and boy is it! The attention to detail is incredible and there is gold EVERYWHERE. There’s even a harpest playing beautiful music flowing throughout the hotel which just adds to the serene experience. There is a lovely bar where they have the fanciest olives I’ve ever seen as bar snacks and you can stop for an old fashioned style cocktail. The tequila based one I had was delicious and had one of those big single chunks of ice in the middle. The Afternoon Tea itself takes place in the main hall of the hotel. Theres a huge atrium archway and it almost feels like you are outside. The tables all face in different directions towards the centre so you can see lots of the other tables and rather than being distracting this is actually quite intimate and cosy. What is the food like at Afternoon Tea at The Ritz? There is a wide selection of 18 different teas from all over the world to choose from and with names like Ritz Royal English, Dragon Pearls and Rooibos Red Tea there should be something that takes your fancy. Don’t worry there are descriptions of them as well which are worthy of any wine sommelier. I went for the Assam Tippy Orthodox which is “a full bodied black tea from northern India. The golden leaf yields a strong, rich malty aroma and red colour”. It was very nice, and rich as the description suggested, maybe not something I’d drink every day but lovely as a treat. 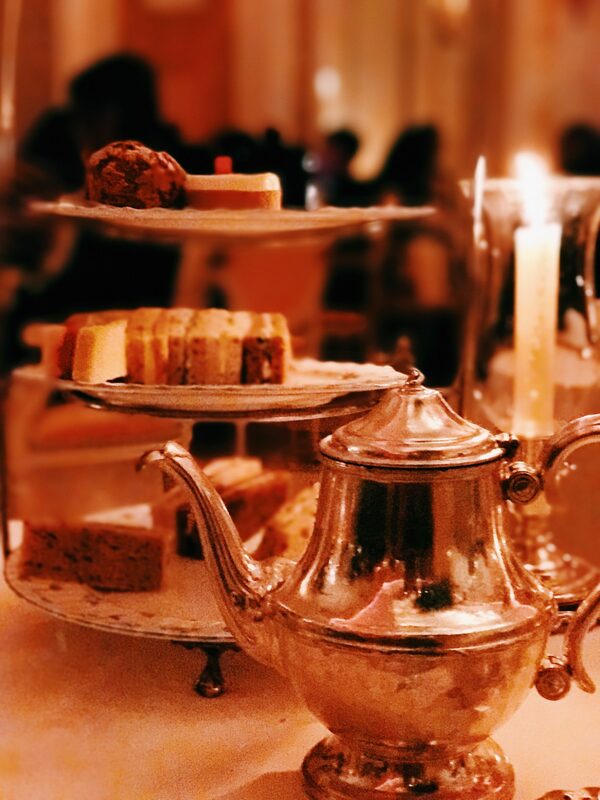 The tea is served with individual silver tea pots and beautiful crockery – super fancy. You can also choose an option where you have a glass of Reserve Ritz champagne prior to the tea being served if you really feel like treating yourself! The sandwiches are brought out on a beautiful three tiered afternoon tea stand and occupy the bottom two sections. The waiters are careful to identify any allergies, for example you can have the fish on a separate tier if anyone is allergic or doesn’t like it. They are beautifully presented with the crusts cut off and on a variety of different breads. A couple of my favourites were ham with grain mustard mayo on sliced brioche and the chicken breast with parsley cream on malt bread. On the top tier above the sandwiches is the pastry selection which changes on an ongoing basis. The apple cinammon choux bun we had was incredible and the white chocolate and raspberry tart out of this world. Some might argue this is the main event as part of afternoon tea with the scones, both with and without raisins, accompanied by lashings of clotted cream and jam. There’s a long debate over whether you should put the clotted cream or the jam on first, but who really cares, just pile it high and shove it in your mouth! SPOILER ALERT! You might expect the previous four stages but then they wheel out a cake trolley with more cakes on afterwards and they are incredible and gooey. You might think you have no room left after everything else but I promise you, you will find it! 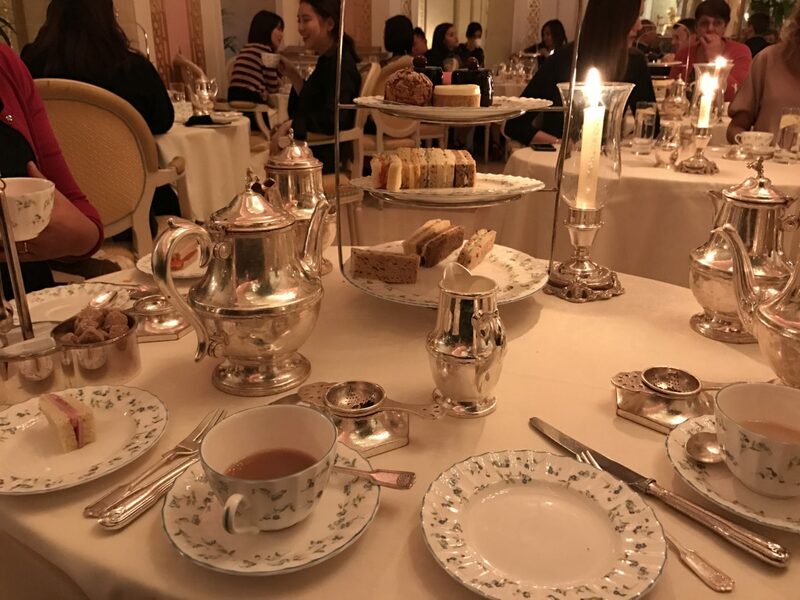 How much does afternoon tea at The Ritz cost? As you might expect it doesn’t come cheap in what was designed to be the most luxury hotel. A standard afternoon tea at the time of writing costs £54 per person or if you want to go for the champagne option it’s £70 per person. It’s worth it though, particularly for a birthday treat or celebration meal, you can even arrange a celebration cake to come out as well which I was surprised with for my birthday. Trust me, you won’t need to spend any money on dinner afterwards! I’d love to hear about your experiences of The Ritz so please do leave me a comment below and let me know what you thought or if you have any ideas for future blog posts you’d like to see. I’ve also provided a link to my YouTube video of the day.